The Energy Industry is facing serious challenges ahead as the global economy is set to grow four-fold by 2050, more in developing countries such as India and China. Electrical Energy systems worldwide are changing. There is global demand for new, more cleaner ways of producing electricity and our dependence on it, is increasing and, as environmental concerns become more pressing, so does the focus on the reduction or elimination of greenhouse gas emissions. While this promises great economic benefits to the standards of living for many people, it also means a huge increase in the use of efficient energy systems and how they are designed to meet the rigorous rules and regulations required. The fact that Photovoltaics (PV) systems can deliver energy on a large scale at competitive prices means that the industry will grow as economies, countries and technologies develop. As strict regulations continue to change and evolve the industry, the reduction of manufacturing costs and the rate of the design cycle-time increases. New software technologies need to evolve to new heights while remaining safe and reliable – meeting customer demands. 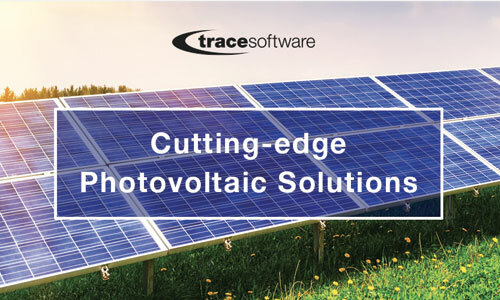 To guarantee efficient energy design calculation, quality and safety, Trace Software International is continually improving its current software and innovating new solutions, to meet growing global demands. Meeting national and international project design standards is now a key requirement for all companies who are involved within the energy sector, among other essential factors such as energy savings and installation efficiency all in its lifetime. All these factors are vital within the sector of energy production, energy transformation or energy distribution. The growth of the energy industry depends on a strong relationship between science and engineering innovations, a vibrant financing and manufacturing sector, and cycles of policy design and advancement, go hand-in-hand, and that is where Trace Software produces cutting edge solutions to meet these growing demands. Our product solutions enable designers in emerging energy fields to quickly experiment with new and different ideas, speed up initial prototyping, and simulate various environmental conditions to verify new approaches. · archelios™ – Software for PV photovoltaic installations. · archelios™ suite – a unique solution to manage the entirety of a photovoltaic project. · archelios™ Pro – allows PV professionals to design, edit, compare and share unlimited projects with the utmost precision and confidence, from rooftop to huge ground mounted. · archelios™ Calc – takes into account any kind of PV installation in its totality: from the photovoltaic panels to the inverter and from the inverter to the network. · archelios™ O&M – bringing all the benefits of PVBIM mock-up to advanced PV monitoring. The accurate modeling, combined with sensors or satellite data, provides a precise computation of expected production. 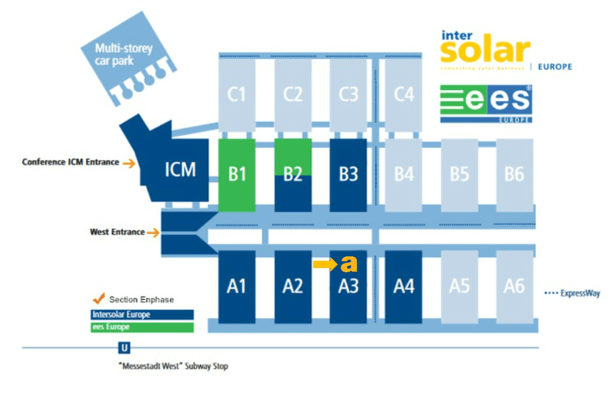 A wide range of PV systems are available worldwide. Globally, there are hundreds of companies involved in the manufacturing of PV modules with varying efficiencies and limitations. At the same time, installation costs differ from system to system and from project to project. The PVs in terms of materials and module efficiency, the global PV status and the driving policies, research and development (R&D) activities and funding sources as well as the potential of electricity generation. The design process for photovoltaic systems has, for the most part, transitioned from a simple electrical equation to a complicated three-dimensional architectural, solar and financial analysis. Solar PV technology is one of the renewable technologies which has one of the greatest potentials for clean, reliable, scalable and affordable electricity systems for the future and change the way society consumes energy. 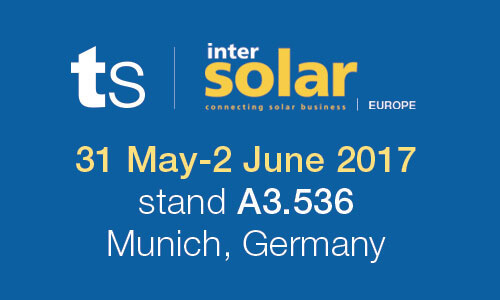 Trace Software team with archelios™ suite will welcome you at Intersolar Europe @Munich, Germany, where you will be able to witness the launching of the long-awaited archelios™ O&M. Trace Software International are proud to present the new and improved version of archelios™ Pro and archelios™ Calc, for the complete design and feasibility study of any PV installation of any size, its calculation, sizing and control. As well, you will witness the launching of archelios™ O&M, bringing all the benefits of PVBIM mock-up to advanced PV monitoring. The accurate modeling, combined with sensors or satellite data, provides a precise computation of expected production. Integrating 3D shading effects, it is used to accurately detect low production and effective loss. Incidents are ranked for maintenance priority decision making with the highest energy recovery. To find out more, join us at Hall A3, stand A3.536. Barcelona, Spain (May 9th, 2017) – [NEWS] Trace Software International will be present in the 20th edition of Barcelona Building Construmat, in Barcelona (Spain) from 23 to 26 of May. Barcelona Building Construmat is the meeting point for every discipline in the construction sector. Our team will be presenting our new solution for the Building & Construction industry, elec calc BIM, for integrating the electrical data within BIM projects using the IFC4 format. 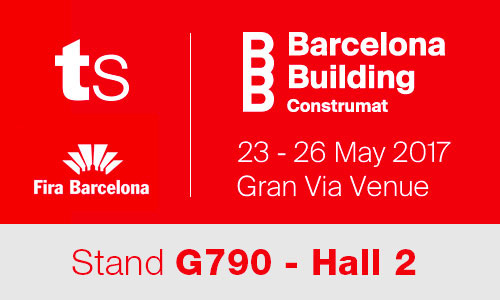 Allocated in BIM zone, our team will be glad to welcome you at stand G790, Hall 2.